This entry was posted in DIGC330 and tagged Auto-Ethnography, China, Communication, Digital Artefact, Digital Asia, Drones, Policy, quadcopter, Regulation, Technology, UAV. Links to the stories on Storify for a group digital artefact experiencing a Japanese horror film for the first time and live tweeting or experience. Declan and myself then examined horror as a genre and drawing on points of its origins. This helped further our understanding of digital Asia and Storify as a platform. This entry was posted in DIGC330 and tagged Digital Artefact, Digital Asia, Group, Horror, Japan, Origins, Ringu, Storify. An auto ethnographic response to regulation and policy in the Asian-pacific region had the potential to investigate a number of possibilities and reasons why these certain laws were in place. So this is how I decided to structure my project initially and accumulate a number of statistics and expertise in the area of Drone flying within Australia and overseas to accumulate the idea of a “responsible pilot”. Consistent of this approach to research, I found myself exploring and researching into something completely different, in the Chinese position globally with drones and UAVs (un-manned aerial vehicles) and the Asian-Pacific response. This idea of the use of narrative in conducting a research train of thought worked for me as I could draw from personal experience in drone technology, and collect information that’s happening now in terms of production, consumption and representation of drones in China. I purchased a Parrot A.R Drone 2.0 to fly and video various elements of agriculture and examine the way it can improve productivity and investigate the all-round usefulness of the technology for farmers. Whilst I learnt the controls, I couldn’t help but notice the (mostly Chinese) international students gathering around and looking out the window of the spectacle. This influenced me in a development of my investigation to focus on China, still taking into account surrounding countries and their stance on the new platform. You may NOT fly your drone closer than 30 meters to vehicles, boats or buildings that are on private property or you must have explicit permission from the private property owner. You may NOT fly your drone over populated areas such as beaches, other people’s backyards, heavily populated parks or sports areas where games are currently in session. You may NOT operate your drone within 5.5 Km radius of any aerodrome, airfield, airport, seaplane taking off or landing, or helicopter landing sites located at hospitals, police stations or other locations. It is YOUR RESPONSIBILITY to be aware of your surroundings and ignorance is no defence. You may ONLY operate your drone during daylight. You MUST ONLY operate your drone in good weather conditions and maintain visual contact with your UAV at all times. You may NOT fly your drone above 400 feet (123 meters). UAV must NOT drop or discharge an object from your drone that poses a risk to another aircraft, persons or property. Approval is required for operation of a drone weighing 150 Kilograms (fixed wing) or 100 Kilograms (rotary wing). A drone must NOT be operated within 30 meters of a person not directly associated with the operation of that UAV. You may NOT operate a drone using FPV equipment. Regulation in regards to the use of drones in Asia varies from country to country, from completely outlawed to slowly adapting the popularity and changing aerospace laws to suit consumer needs. I also researched and uncovered laws in Korea, Singapore and Thailand and speculated their relationships and similarities in relation to Australia, Japan and China. I closely examined China’s drone development as a nation and one way this was made possible, in conjunction with the Ellis reading, investigating to “forms of representation that deepen our capacity to empathise with people who are different from us”, thus I studied, and at times struggled with, the language and cultural expressions of Asian countries. This details fears and anxieties perhaps explained in the way the expression drone is culturally constructed with an unknown element and a restricted control sector for particular countries. All these words displayed negative connotations and were associated with almost scary meanings when paired with the English equivalent to the expression drone. China being perhaps the most lenient in their policy of flying in comparison to other Asian continents has implemented drone technology into their military capabilities and has seen tremendous success. It has successfully flown their first 20 minute stealth drone, Lijian, as a part of their innovative advancements. Authorities have suggested that the technology can strengthen intelligence gathering techniques on their neighbouring countries. It is powered by a single jet engine and is the result of a partnership between Chinese aerospace firms Shenyang Aviation and Hongdu Aviation Industry. Lijian, which means “sharp sword” in Putonghua again comes back to a hostile and potentially dangerous connotation when thinking about it to the citizens of the population, and thus it’s surrounding countries. A Chinese company has been predicted to control over half the UAV manufacturing industry over the next 10 years according to studies in the Forecast International. The report predicts that the global drone market will more than double in the next ten years, rising from $942 million in 2014 to an annual $2.3 billion in 2023. The reasoning behind the market increased hasn’t been linked to increase in production, more the increase in cost of the technology. In terms of commercial drones flown by citizens, China’s DJI brand of drones are a top choice of entrepreneurs and enthusiasts worldwide, particularly in the U.S in areas such as cinematography, agriculture, construction and surveillance. Mr Wang’s DJI creation is a new breed of Chinese company. China became an economic juggernaut by in large part manufacturing cheap goods for companies from other countries. In recent years, a handful of Chinese firms, including Huawei Technologies Co., Alibaba Group Holding Ltd. (which is an online trade business) and Lenovo Group Ltd (electronics)., have evolved from imitators to global leaders in their sectors. DJI has taken that further by creating a product that is, in many ways, the first of its kind. At a time when most drones were assembled from kits by enthusiasts, it developed systems that stabilized both the aircraft and its camera, and packaged them into an inexpensive device ready to fly out of the box. This information sparked personal epiphany when I was conducting my research in rural New South Wales, with people showing interest in a project that started as an idea. Australia is still figuring out the drone’s potential and my plans to introduce the technology further into Australia especially in these places where it’s virtually unknown. Tensions have been brewing in the wake that China is well known to have plans for its military drones (UAVs) to conduct missions that are of less importance and more ‘test’ missions for] example it has been reported that Beijing had considered conducting a drone strike somewhere in the Golden Triangle to eliminate a Myanmar drug dealer who was wanted in China. Although around the same time of year, Japan was celebrating its nationalisation of the islands of Senkaku when authorities detected a labelled unidentified UAV which interfered with their aircraft, flying around the islands. Initially China didn’t claim it, however came around to say it belonged to them and that it had been on a routine mission around the area. In response, Japanese authorities have been reported on intending to shoot down any instances of UAV activity entering its airspace. China returned by saying it would consider this an act of war. Very interesting to consider when China is leading the way with their military UAVs being produced to a global market, and Japans need for the technology. This entry was posted in DIGC330 and tagged Aerospace, Asian-Pacific, Australia, Digital Asia, Drone, military, Policy, quadcopter, Regulation, UAV. In terms of commercial drones flown by citizens, China’s DJI brand of drones are a top choice of entrepreneurs and enthusiasts worldwide, particularly in the U.S in areas such as cinematography, agriculture, construction and surveillance. Mr Wang’s DJI creation is a new breed of Chinese company. China became an economic juggernaut by in large part manufacturing cheap goods for companies from other countries. In recent years, a handful of Chinese firms, including Huawei Technologies Co., Alibaba Group Holding Ltd. (which is an online trade business) and Lenovo Group Ltd (electronics)., have evolved from imitators to global leaders in their sectors. 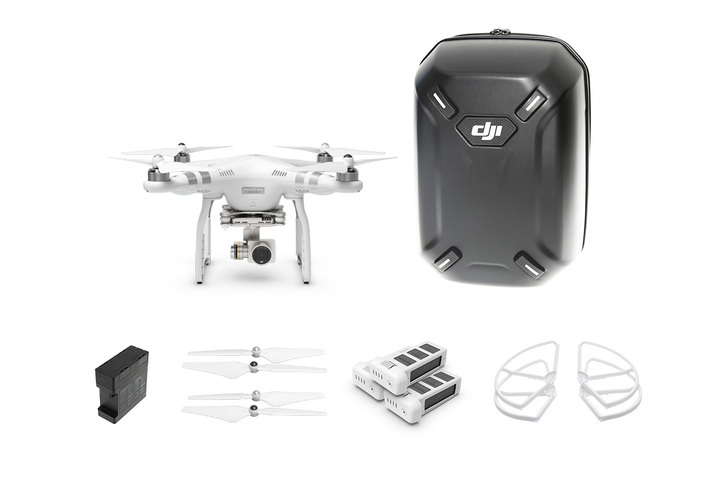 DJI has taken that further by creating a product that is, in many ways, the first of its kind. At a time when most drones were assembled from kits by enthusiasts, it developed systems that stabilized both the aircraft and its camera, and packaged them into an inexpensive device ready to fly out of the box. In terms of Asian-Pacific drone market and UAV technology there have been labels going around about a potential arms race in the developments in unmanned vehicles. In recent years the science fiction fantasy has turned reality in the productions of drones or UAVs spreading globally. The have made headlines in the Asian-Pacific regions including Korea when South Korea authories had discovered 3 “small robotic planes” had crossed the border from North Korea undetected and all equipped with digital cameras. Although these crafts were unarmed and not huge in size, the idea that tensions are present within the technology is worrying for its development in its policy. This entry was posted in DIGC330 and tagged Auto-Ethnography, Chinese, consumption, DJI, Drones, military, production, representation, UAV. fears and anxieties perhaps explained in the way the expression drone is culturally constructed with an unknown element and a restricted control sector for particular countries. Eg. China. Individuals can say and do what they like as long as it doesn’t get aimed or directly affect their government. in terms of drone piloting, their area and dense population restricts the Consumption as opposed to somewhere like Australia with vast open landscape and geographic capabilities. However, in china the drones aren’t, so far, affecting anything with the government and their rules are so far working. The more I invest time into the research of Asian consumption, representation and production of drone and UAV technology, the more the research is my experience of their culture in an Australian context. Comparing models of their policy with events such as the Japanese Prime Minister having a radioactive drone hit his building allow me to make connections towards the ethics of Drone regulation in Asia and pacific. All these words displayed negative connotations and were associated with almost scary meanings when paired with the English equivalent to the expression drone. Perhaps a link between the laws of the countries that haven’t supported the aerial quad-copters. Indonesia, who’s having strict regulations set in place in regards to UAV photography and filming at the moment, has the most interesting in my opinion with the associate ‘propaganda’, which for me shows the power of the drone in a mostly developing nation. Their authorities are restricting the use of the technology and places such as Taiwan are completely banning them. This then leads into talks I’ve had with a friend and student studying international studies with a wealth of knowledge on history, and the tensions between Taiwan and China stemming from the communist revolution. When this happened in the 1940s, the existing government was almost exiled into Taiwan and believe their apart of the original China. Today, China seeks to make Taiwan apart of their country, however Taiwan isn’t obliging. In terms of both countries take on drones, this also seems to be a for and against. The Lijian, a stealth drone I talked about, is powered by a single jet engine and is the result of a partnership between Chinese aerospace firms Shenyang Aviation and Hongdu Aviation Industry. Lijian, which means “sharp sword” in Putonghua again comes back to a hostile and potentially dangerous connotation when thinking about it to the citizens of the population, and thus it’s surrounding countries. This entry was posted in DIGC330 and tagged Asian Language, China, Connotation, Drone, Indonesia, Japan, Korea, Taiwan, The responsible pilot. Perhaps a consideration and a point to come back to this week is how do Asian countries and cultures express the word ‘drone’ or ‘quadcopter’. The idea of something in aerospace could have negative connotations in terms of surveillance and control. The Chinese media is heavily mediated and with my own experiences in previous subjects, I’ve learnt how social media platforms have been completely outlawed and replaced by another from the government. This led me into thinking about Asian anxieties and perhaps the link between technological advancement with drones. Currently I’ve been using a Parrot A.R drone to record footage of agricultural landscapes and using its surveillance potential to the benefit of farmers. This is done with little human activity around and next to no obstacles to be of concern. In these conditions the use of aerospace isn’t fearful to citizens, however I believe in a place such as China, we’re the population is dense, and some drones have an intimidating effect. China being perhaps the most lenient in their policy of flying in comparison to other Asian continents has implemented drone technology into their military capabilities and has seen tremendous success. 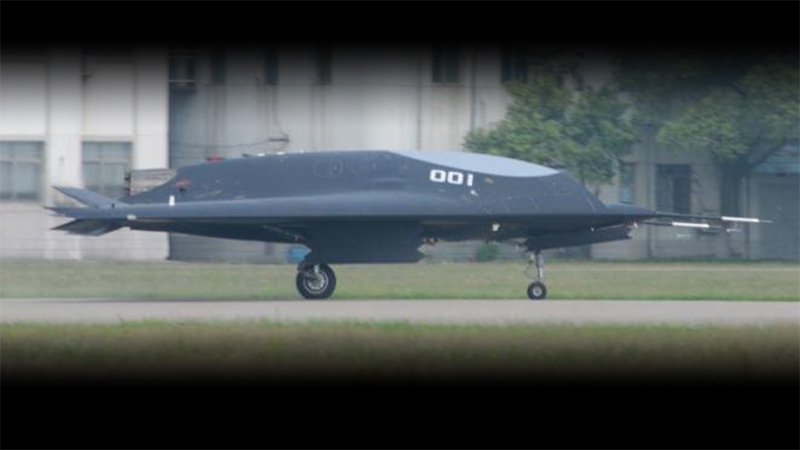 It has successfully flown their first 20 minute stealth drone, Lijian, as a part of their innovative advancements. Authorities have suggested that the technology can strengthen intelligence gathering techniques on their neighbouring countries. New regulation as of the 1st of July has seen drones made in China that have a 300km flight radius and a 20 litre capacity is limited in their exportation overseas. The Chinese authorities didn’t actually comment on their fears of national security, instead the ban was seen as more keeping specific technologies out of the wrong hands. This entry was posted in DIGC330 and tagged China, Digital Asia, Drone, military, quadcopter, Regulation, Stealth. Recently Singapore have got on board with regulating the use of UAVs (drones) in their city-state by introducing an online portal system that allows individuals do go online and fill out the necessary documentation so they may fly their drones. “According to the CAAS website, two permits – an operator permit and an activity permit – are required for flying drones that weigh more than 7 kilograms (15.4 pounds) for any purpose. Those who fly drones for business purposes will need both permits regardless of the weight of the aircraft. In contrast, those who do so for recreation or research do not require a permit if the weight of the aircraft is less than 7kg. If drones are flown indoors at a private residence or indoor area and the flying does not affect the general public at all, no permits are required.” (The Diplomat, 2015). It also states that additional permits must be acquired if the craft that is being flown has potential to drop items, if they are to be flown over protected or populated areas and events and taking photos, such as military bases, the Istana, Parliament House, Supreme Court and other government buildings. However, only business’s that have a permit and require aerial photography will be permitted to fly drones with cameras attached. Bangkok has prohibited such flying over military bases, palaces and parks in the city. According to Korean transportation ministry the number of illegal drone incidents from 10 cases from 2012 to 49 last year, due to people not being aware of drone laws. These regulations are for all drones commercial and personal use regardless of size. 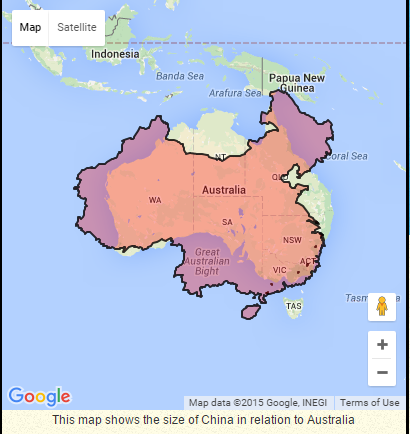 This entry was posted in DIGC330 and tagged Asia Pacific, Australia, China, Digital Asia, Drone, Japan, Korea, Laws, Regulations, Taiwan.